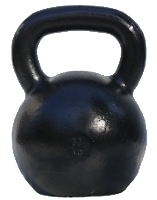 Keep up-to-date on what's going on with my kettlebell classes by signing up to my email list. I'll try to keep this to important updates only. Also, make sure to add juliemacfitness@googlegroups.com to your "allowed senders" list so that the emails don't end up in your spam folder. If you're having trouble joining the mailing list, for whatever reason, email julie@juliemacfitness.com and I'll add you manually.